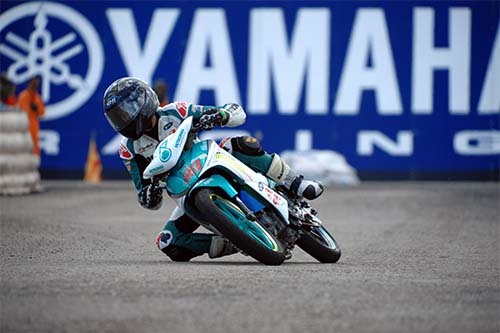 Mohd Ramdan Rosli displayed sheer determination in the inaugural race of the PETRONAS AAM Malaysian Cub Prix Championship in Temerloh as the PETRONAS Syntium Moto Yamaha AHM rider came in second fastest in the CP130 class. Ramdan recorded the second best time of 49.587s on the 0.981 metro circuit, just 0.310 seconds behind pace setter, Mohd Zaqhwan Zaidi with 49.227s. Mohd Affendi Rosli came in third fastest. Coincidentally, today’s top three riders all crashed out of the race in Kluang (Round Six) two weeks ago. Content with his current pace, Ramdan commented, “I think we did okay today. It’s good enough that we are close enough to Zaqhwan who is well known for his capabilities to clock in fast lap times. Now the focus is on the SuperPole tomorrow where I will try to secure a front row start,” said Ramdan. 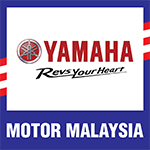 Aside from the 17-year old, other Yamaha backed riders who made the SuperPole cut includes Ahmad Fuad Baharudin, Ahmad Fazli Sham, Mohd Adib Rosley, Abdul Muhaimin Roslan and Mohd Zamri Baba. Motul Yamaha YY Pang’s Mohd Izzat Zaidi Salehan and Ahmad Abdul Kadir sent out a clear warning they mean business as they took first and second spot in the CP115 practice. Izzat left a strong impression to become the only rider to clock under 49 seconds with 49.894s while his new Sarawakian teammate, Ahmad registered second with 50.314s.Third quickest was PETRONAS Syntium Moto Yamaha AHM’s Mohd Hafiz Nor Azman. The 2012 WIRA Champion logged in 50.331s. Others who made the cut for tomorrow’s Shoot-Out includes Mohd Amirul Ariff Musa, Ahmad Afif Amran, Mohd Shariffudin Shamsuddin, Tengku Amirul Haffiruddin, Mohd Emir Firdaus Hasan, Zaidy Mohd Zaifaizal and Sasitharen Sukumaran. Warner Pumps-YSP’s Mohd Shafiq Rasol and Mohd Hafiza Rofa took second and third fastest in the WIRA practice. Shafiq timed his best lap at 51.033s while Hafiza clocked in 51.527s. Leading the entry-level timesheet was Khairul Idham Pawi. The 15-year old was the only rider to record his time under the 50 second mark with 50.843s. Completing the top five were Faito Factory Racing’s Mohd Nasri Ishak who timed 51.566s and Khairul Idham’s teammate, Mohd Syafiq Rosli, 51.711s. Motivated by a second place spot in the overall standings, Mohd Ibrahim Norrodin went blazing fast to set the fastest time for the Yamaha 135 Super Series. Knowing full well that the actual race will be a lot tougher than this Timed Practice session, Ibrahim sidelined chart leader Mohd Azam Omar and another gifted rider, Mohd Khairul Ikhwan Ajis. Ibrahim set the fastest time in 52.659s while Khairul Ikhwan Ajis in 52.931s. Third fastest went to champ, Azam Omar. The Terengganu-born is expected to boost his performance on Sunday’s final race like he did in Kluang, crushing the frontliners one by one. Fourth and fifth fastest this time was Mohd Helmi Azman and Mohd Shafiq Ezzariq. While Shafiq may be an underdog threat, Helmi will be a different story. Having experience a few podiums, he is predicted to finish the race with the front runners.